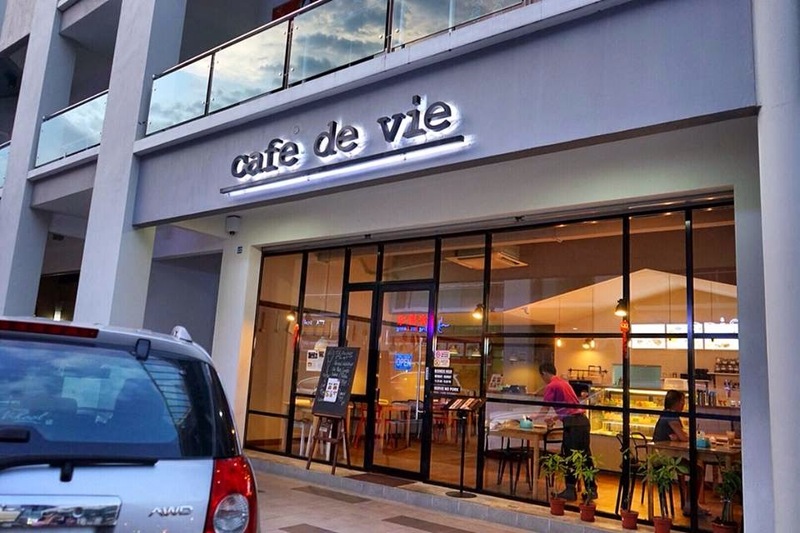 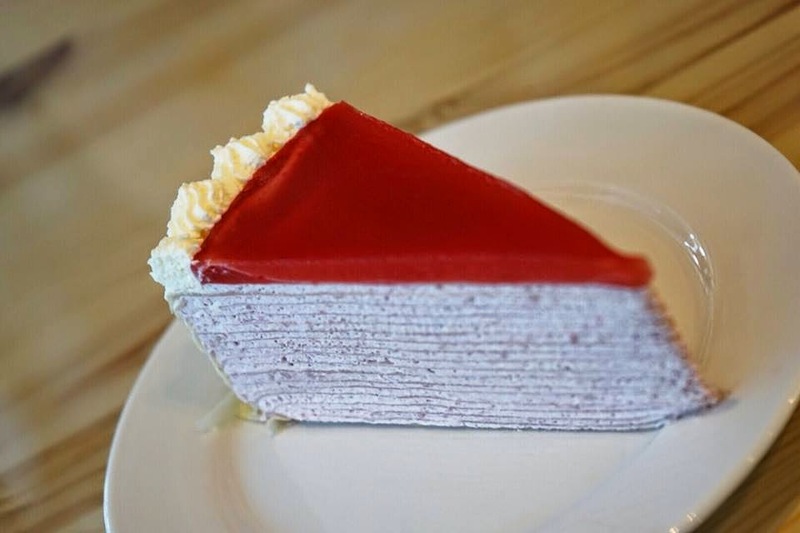 Cafe De Vie is the only cafe in KK that offers Mille Crepe Cake in store. 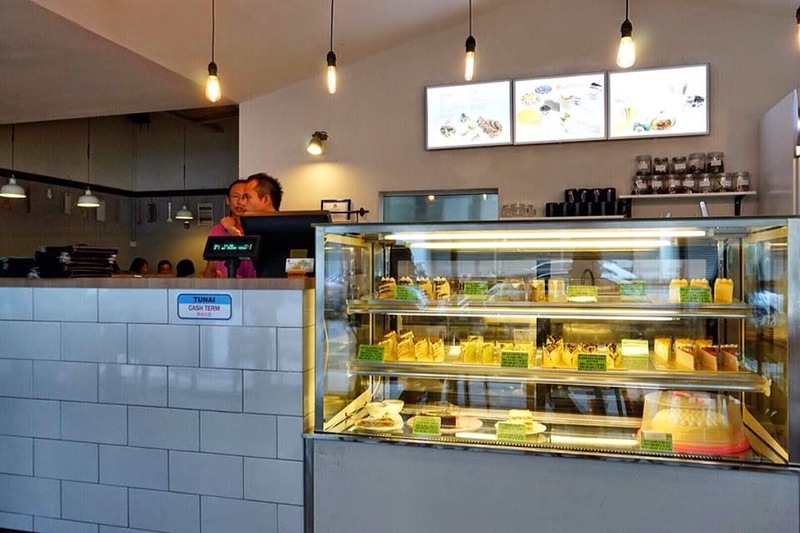 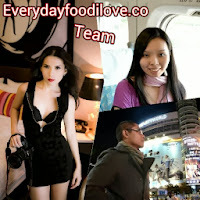 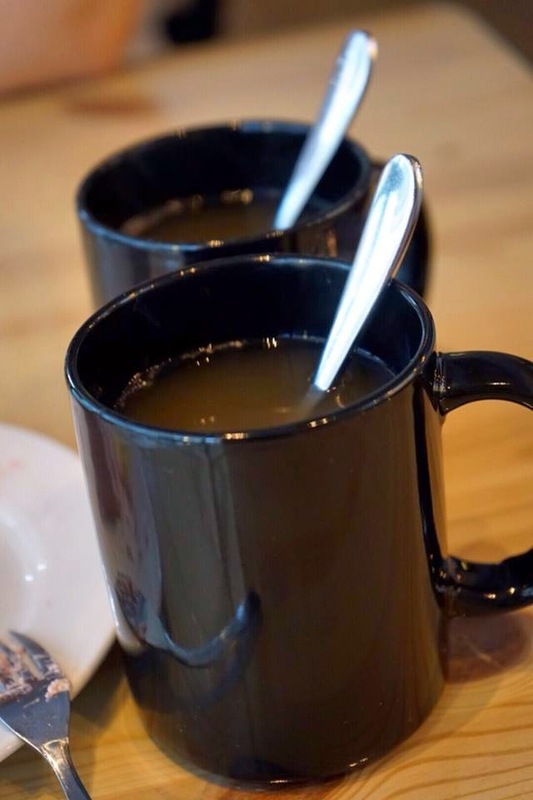 So far there are two branches in KK, located respectively in Lintas and Metro Town. 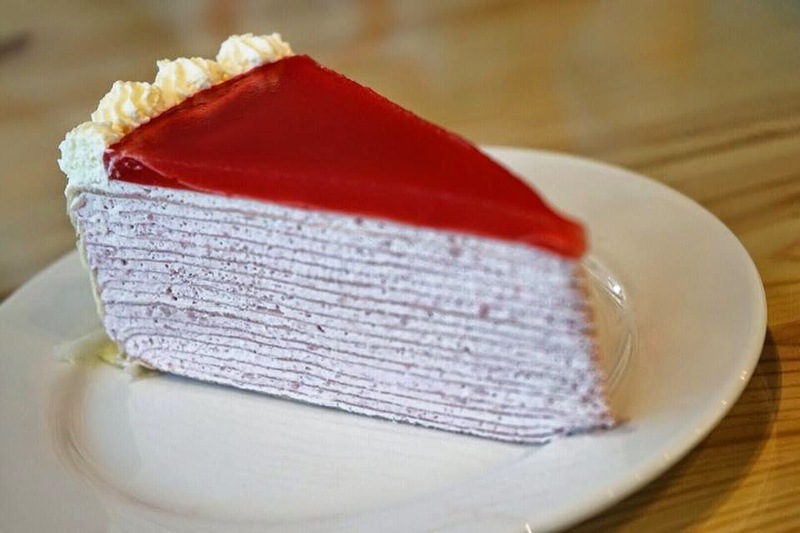 Mille Crepe Cake is a classic French cake consisting of 20 layers of paper thin crepes, each separated with a brush of French pastry cream. 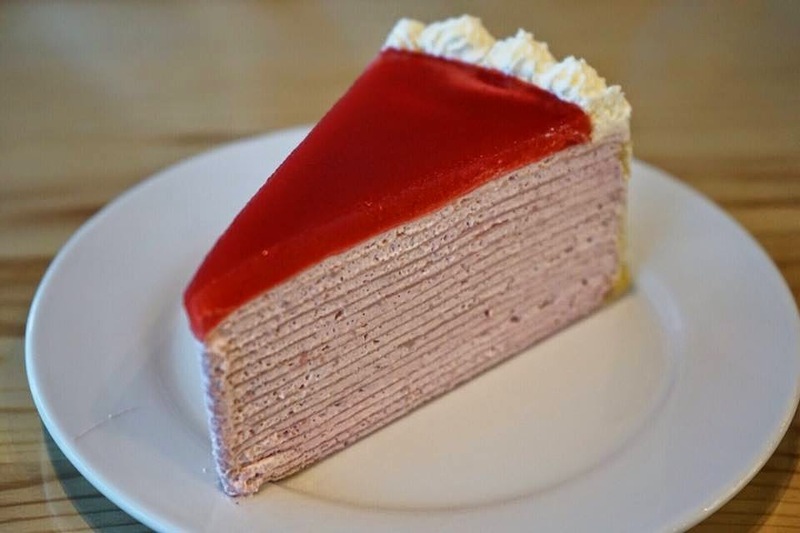 Filled with raspberry yogurt cream, the crepe cake was sweet, sourish and refreshingly good.